All good things must come to an end but this is ridiculous. Barring a monumental rally, 2013 will mark the end of 12 consecutive years of gains in the price of gold. In fact the yellow metal has gone from the penthouse to the outhouse, falling more than 23% year-to-date. With gold down 30% from record highs made just over two years ago, gold-bugs are starting to wonder if the pain will ever end. Jeff Kilburg of KKM Financial says gold got taken to the woodshed yesterday after a huge trade pushed the price below $1,300. In the commodity pits price charts rule. Once $1,300 was broken there were sellers all the way down to $1,280. But that was Tuesday. 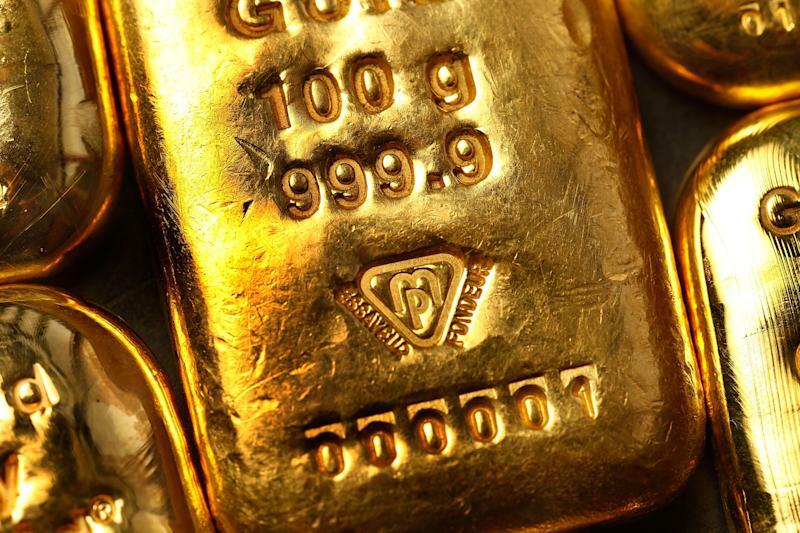 With bullion bouncing on Wednesday Kilburg sees a possible bullish trade taking shape. "$1,305 is critical for the gold bugs," he says. "If we stay above $1,305 we will go back to $1,425." Such schizophrenic trading activity doesn't make much sense fundamentally but 2013 hasn't been the year of buy and hold. There have been some great trading opportunities for the bold but the whipsaw price action has been endlessly frustrating for most. The challenge for the true-believers has been resisting the allure of calling "bottom" on every recovery. Watch the range here. Kilburg thinks the next move is key. If today's rally fails to stick there's a distinct possibility the lows at gold's $1,200 production cost are in play. Long term investors may welcome a drop as another buying opportunity but, having lost one third of their investment so far, gold bugs' bravery is starting to come at a steep price. Jeff Kilburg has a clear trade picture for the short-run. If gold takes back $1,305 it's a buy, but it better get their soon. He doesn't want to "sell in the hole" but longs need to be mentally and financially prepared to see $1,200 unless gold recovers soon.